Michael – “You can’t be afraid to try new things. Even what you’re doing. You’re stepping out and creating something that wasn’t there before …you’re trying to make something bigger and create a business for yourself and that’s the same thing …opportunities come your way and you can’t be afraid to take them. We always discourage ourselves and encourage other people. You tell your kids….’You can do anything you want to do.’ Just go for it. Then when it comes to yourself you have doubts. We have to change our frame of mind and think the way we encourage others. That’s what I’ve learned to do. Of course I’m scared. I’m not an expert at everything. And asked to do things that take you out of your comfort level. Those are the things that take you to the next level. I just go for it and if it doesn’t work, I learned from it”. 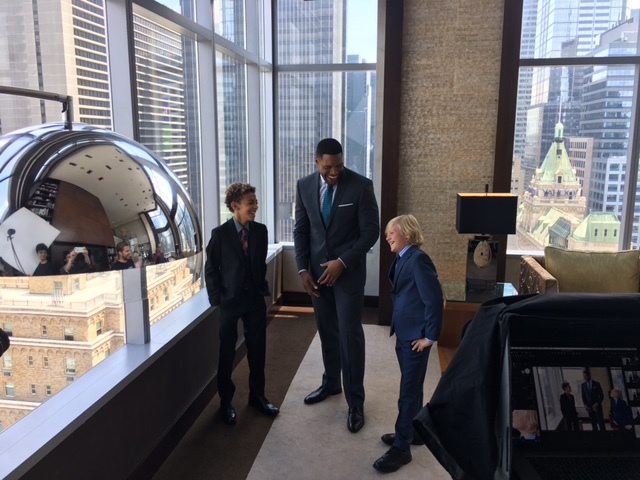 As a dad who does it all, we met Michael Strahan on the set of the commercial shoot of his two menswear collections available exclusively at JCPenney. 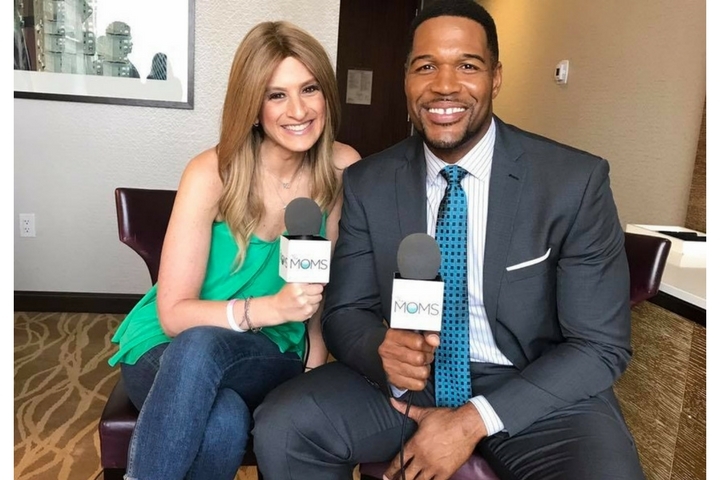 Collection by Michael Strahan, a line of men’s tailored clothing and accessories and MSX by Michael Strahan, a new line of men’s athleisure apparel. Collection offers stylish and distinctive assortment of tailored suit separates, sport coats, dress shirts, neckwear, belts and accessories including tie clips, cuff links, socks, wallets and shoes. MSX by Michael Strahan offers a stylish yet functional assortment of apparel that is changing the rules of clothing to wear what you want, wherever you want and still look and feel great – from performance muscle tees and tech knit shorts to polos and chino pants. With approximately 190 SKUs the assortment continues to expand, and is now offering a range of styles for boys starting at size 8. Both collections are available in 500 stores and jcpenney.com.